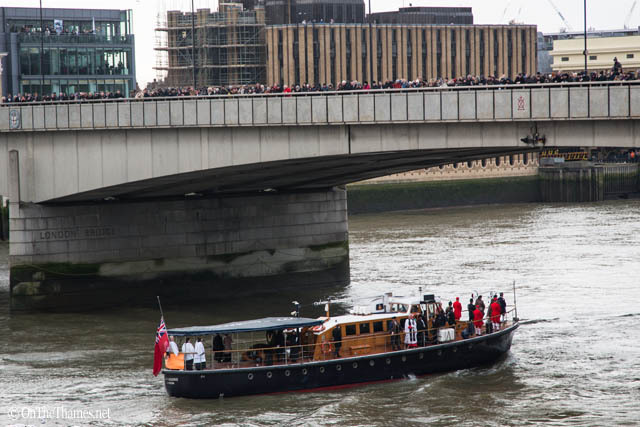 A SERVICE of remembrance for Sir Winston Churchill took place on the Thames yesterday. 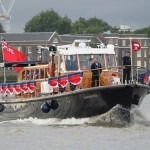 The former PLA hydrographic survey boat Havengore had the honour of carrying the coffin of Churchill up the river half a century ago and yesterday, exactly fifty years later, the vessel again took to the river to retrace its movements. 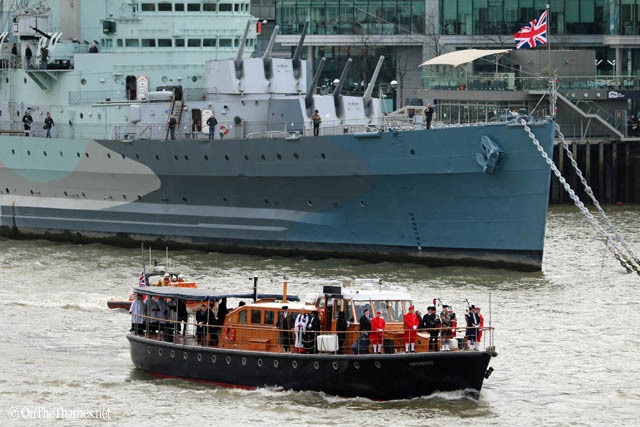 With Churchill family members on board, the Havengore departed HMS President yesterday lunchtime to begin its journey - this time without the cranes that were famously dipped by the dockers. 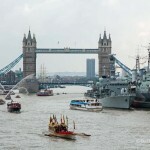 Crowds of onlookers gathered along the Thames path, on bridges and from vantage points on river-facing buildings to watch the small flotilla, led by a PLA's Lambeth, make its way up the river. 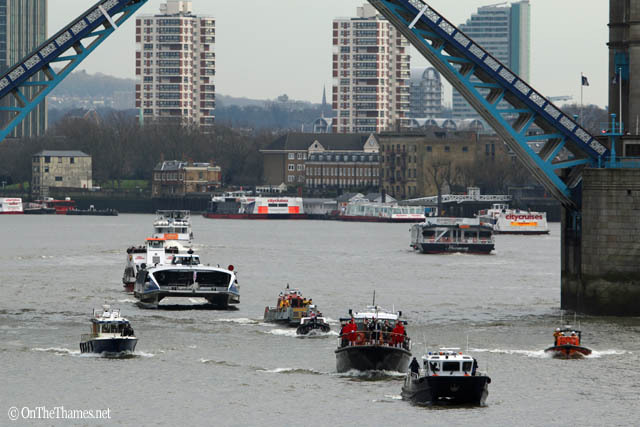 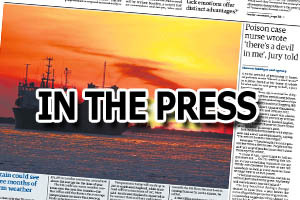 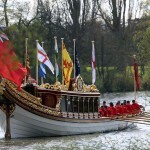 The Police, fire service, RNLI and Trinity House were also represented in the flotilla. 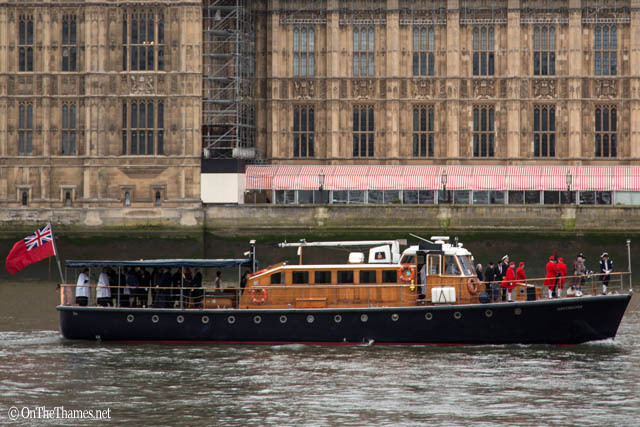 Upon arriving alongside the Houses of Parliament, she drew to a halt and a service of remembrance took place. 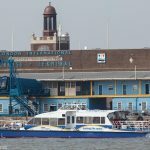 "Is it the Queen?" 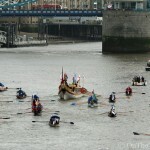 asked many foreign tourists on Westminster Bridge, eager to find out what was drawing so much attention. 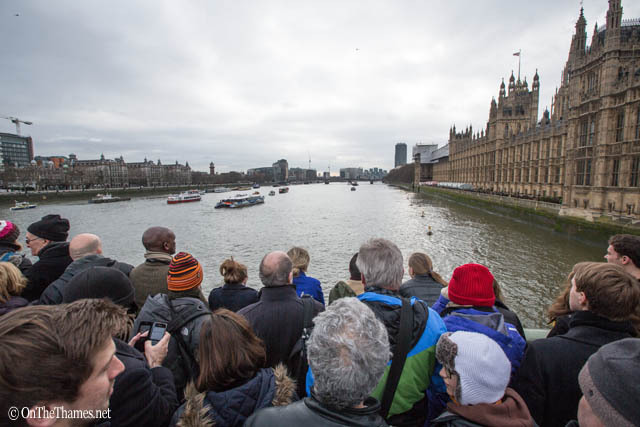 For those not on the boat, the sound of a bugler echoing out across the river signified the end of the religious service and then a wreath was cast in to the river. 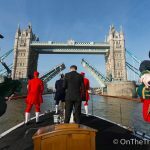 Fifty years earlier, Churchill's final journey on the Thames had begun at Tower Pier following a service at St Paul's and ended at Festival Pier when his coffin was then moved on to a train at Waterloo. 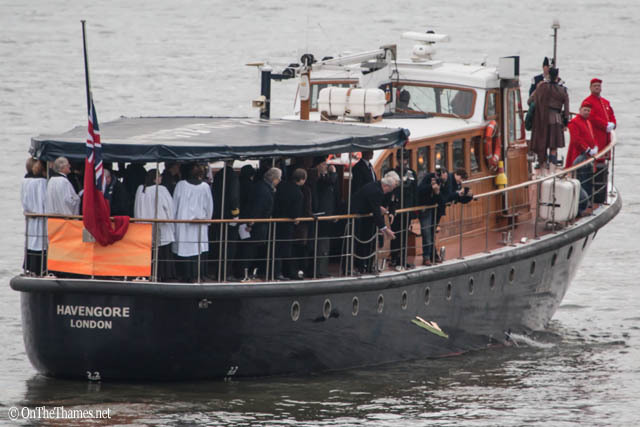 At the conclusion of the service, a wreath was dropped in to the Thames.